To claim this profile, please confirm you are Mercedes Reyes. To follow this profile, please let us know your relationship to Mercedes Reyes. Mercedes' basketball stats have been updated for the loss vs. Village. RESULTLoss Girls varsity basketball vs. Village. 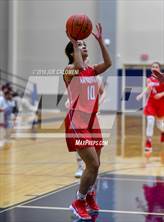 The Antonian Prep varsity basketball team lost Saturday's neutral playoff game against Village (Houston, TX) by a score of 72-60. Mercedes' basketball stats have been updated for the win vs. Duchesne Academy of the Sacred Heart. RESULTWin Girls varsity basketball vs. DASH. 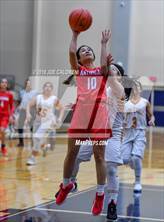 The Antonian Prep varsity basketball team won Tuesday's home playoff game against Duchesne Academy of the Sacred Heart (Houston, TX) by a score of 74-62. Mercedes' basketball stats have been updated for the win vs. Providence Catholic. RESULTWin Girls varsity basketball vs. Providence Catholic. The Antonian Prep varsity basketball team won Friday's home non-conference game against Providence Catholic (San Antonio, TX) by a score of 55-27. Mercedes' basketball stats have been updated for the win vs. Saint Mary's Hall. RESULTWin Girls varsity basketball vs. Saint Mary's Hall. 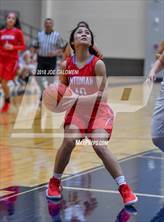 The Antonian Prep varsity basketball team won Tuesday's home conference game against Saint Mary's Hall (San Antonio, TX) by a score of 69-39. Mercedes' basketball stats have been updated for the loss vs. Incarnate Word. 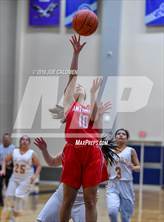 RESULTLoss Girls varsity basketball vs. Incarnate Word. 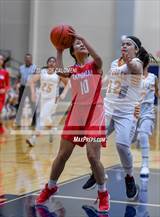 The Antonian Prep varsity basketball team lost Thursday's neutral conference game against Incarnate Word (San Antonio, TX) by a score of 50-29. Mercedes' basketball stats have been updated for the win @ Savio. RESULTWin Girls varsity basketball @ Savio. 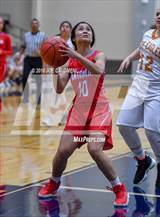 The Antonian Prep varsity basketball team won Tuesday's away conference game against Savio (Austin, TX) by a score of 68-57. Mercedes' basketball stats have been updated for the win @ Saint Mary's Hall. RESULTWin Girls varsity basketball @ Saint Mary's Hall. 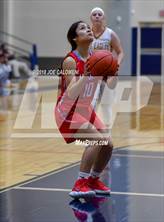 The Antonian Prep varsity basketball team won Friday's away conference game against Saint Mary's Hall (San Antonio, TX) by a score of 80-41. Mercedes' basketball stats have been updated for the win vs. Savio. RESULTWin Girls varsity basketball vs. Savio. The Antonian Prep varsity basketball team won Friday's home conference game against Savio (Austin, TX) by a score of 64-14. The Antonian Prep varsity basketball team lost Tuesday's home conference game against Incarnate Word (San Antonio, TX) by a score of 60-48. Mercedes' basketball stats have been updated for the loss @ Harlan.